A tune-up is like taking a family member in for their annual check-up. It’s important to your car’s health to make sure all of its systems are running properly so you don’t hit any road bumps down the line. 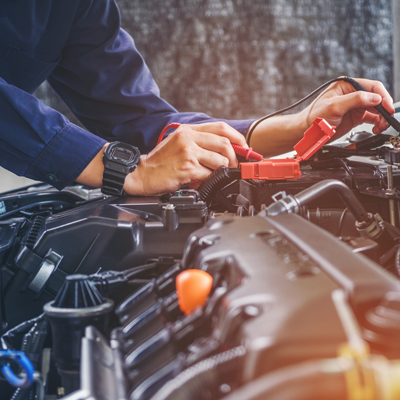 Tune-ups can help solve issues such as warning lights, noisy brakes, squealing noises under the hood, and any other odd feedback you’re feeling as you drive down the road. Proper maintenance of your vehicle recommends a tune-up every 10,000 to 20,000 miles. That’s not to say if something seems off that you shouldn’t bring it in to see us sooner. Noebull Automotive knows cars, and our passion is making sure your commutes and trips are as comfortable and safe as possible. Whether you’re stopping in for an oil change, a new set of tires, or just want us to take a look under the hood, give us a call today so we can make sure your car is living up to its full potential.